Easter and its four-day weekend are approaching! The perfect occasion to offer yourself a relaxing break! Short escape, great gastronomic experience or fun activities, we've got them all. Leave the menu to Hélène Darroze and enjoy a gourmet stay at the Connaught from £305. Enjoy panoramic views of Mayfair and the magnificent selection of Hélène Darroze’s signature dishes inspired by ingredients from the town of Espelette in south-west France. 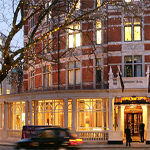 Combine with a luxurious overnight stay at the Connaught et voilà!. Your table at Espelette awaits. To Book: 44 (0)20 7107 8843. 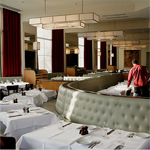 If you never did it, Easter may be the perfect time to enjoy Sunday Lunch Menu at the Ledbury. 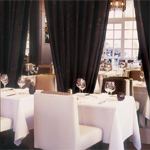 This French-Anglo restaurant with an authentic brasserie atmosphere and art deco interior offers its regular Sunday roast menu. A wonderful magician will be performing during lunch service on Sunday. 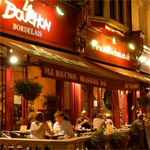 Acclaimed French Brasserie in Clapham, le Bouchon Bordelais offers a free bottle of Chateau Garreau Bordeaux superior when you order two £25 set menus (incl. 12 snails or terrine de campagne, roasted rack of lamb w. a flageolet ragout). What about a gourmet break during for Easter? 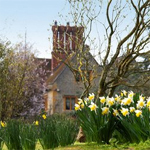 Stay two nights over Easter Saturday and enjoy the delights that Spring at Le Manoir has to offer. For dinner both nights, Raymond Blanc's five course Les Classiques du Manoir menu will enhance an evening of indulgence and luxury. Wake up each morning to a leisurely French breakfast and enjoy a stroll around our wonderful gardens. Prices are per night based on two people sharing. Package is available for two nights between 10th and 13th April and is subject to availability. Spoil yourself with a break in the world-famous Champagne region of France, with its historic cathedral city of Reims and pretty wine villages. Explore the famous Champagne Route and discover this sparkling region of France. An easy 2½ hours' drive from Calais, Reims is home to many of the world's most reknowned champagne houses such as Mumm, Krug, Veuve Clicquot, Piper Heidsieck and Ruinart. And with four UNESCO World Heritage monuments, fine dining, stylish shops and vibrant city centre, Reims is perfect for a break. Discover luxury Champagne hotels, and hotels in historic Reims. 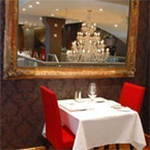 Friendly and modern hotel in Reims with panoramic restaurant, and champagne bar. 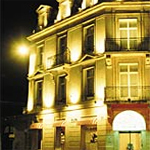 A modern hotel situated centrally, within easy walking distance Reims' famous cathedral. 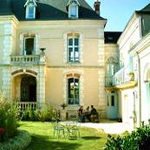 Set in a small village on the Champagne route, this inn has a friendly welcome & good restaurant. 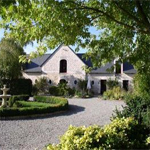 Amazing selection of accomodations in France for Easter break and holidays... Check it out! During spring, take the time to discover the beautiful Pyrenees Orientales. 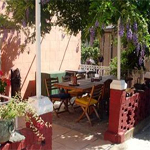 They are offering a night with half board at 40 Euros per person (min 2 persons). Great snow empty slopes. 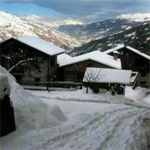 Lovely chalet in mountain hamlet near La Plagne Montalbert with access to Paradiski domain. From £25 pppn for 5 sharing a room. They still have some availability at greatly reduced rates for Easter. 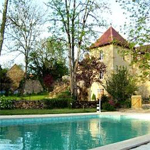 Elegantly decorated, fully equipped, 2-bed 2-bathroom luxury gites in extensive grounds, walk to shops/restaurants, close toFuturoscope and Poitiers. Take a well deserved break in our cosy cottage which is 10 mins walk to village and 10 mins drive to town. Many of France's prettiest villages nearby. Kew Gardens are beautiful in spring. They have an Easter Egg Hunt on Easter Sunday (9.30-12.30) plus a whole host of family-friendly Easter activities including the free Miller's Ark Animals. 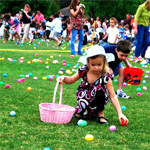 Kenwood House, an English Heritage property on the edge of Hampstead Heath, has an Easter Egg Trail, Friday 10- Monday 13 April 2009 (£1 per participant). It also has a lovely café where you can relax and watch the kids go crazy on the lawn. The Foundling Museum has an Easter Egg Hunt on Saturday 11 April, 10am-5pm, with free entry for children and their accompanying adult. Follow the Easter trail to discover hidden secrets in the collection and get a free chocolate egg as a prize. All of London's major attractions have special events for children over the Easter holiday. 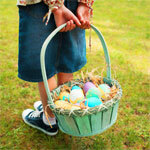 Some may have egg hunts or decorating eggs which are fun pastimes. Try the V&A, National Gallery, Tate Modern, and the British Museum. From 3 to 19 April 2009, The London Eye is bringing an Enchanted Easter Garden to life. This will be no ordinary garden of course; its plants and flowers will be laden with delicious sweets and chocolates, with rhymes and riddles that lead you along a mini treat trail through the garden. Budding Willy Wonkas (aged 5 to 12) are also invited to join The Berkeley's award-winning Pastry team on Easter Sunday at 10am, to be instructed in the art of creating and decorating their very own chocolate Easter eggs, whilst allowing grown-ups to enjoy some quality time together. This special Easter master class, priced at an additional £30 per child, is subject to limited availability, so please mention your children's names and ages at time of booking.